Joe Banks (Tom Hanks) is a man who hates his job, thinks the overhead fluorescent lights are making him sick, and quakes at the presence of his boorish boss Frank Watori (Dan Hedaya). He is attracted to the office secretary DeDe (Meg Ryan) but is afraid to speak to her. Then his life changes when he visits Dr. Ellison (Robert Stack). Dr. Ellison tells Joe that he has something called "a brain cloud" that is rapidly spreading throughout his brain. He will feel great, but he'll be dead within five months. Instead of being depressed at this bleak prognosis, Joe suddenly feels free. He quits his job, asks DeDe out, and is contacted by a rich millionaire named Graynamore (Lloyd Bridges). Graynamore owns an island named Waponi Woo, whose natives need to be placated. The natives require a sacrifice to their island volcano, the Big Woo, so that the island won't sink beneath the Pacific. Graynamore offers unlimited wealth to Tom in exchange for Tom's becoming the object of human sacrifice. Joe has nothing to lose, so he accepts the offer. As he heads out to the island, Joe meets Graynamore's daughters Angelica (Meg Ryan), a Los Angeles socialite, and Patricia (Meg Ryan), Angelica's blonde half-sister. 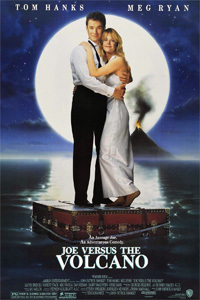 Joe arrives at the island, and as he stands at the lips of the Big Woo he has to decide whether he really wants to leap into the maw of the fiery volcano. 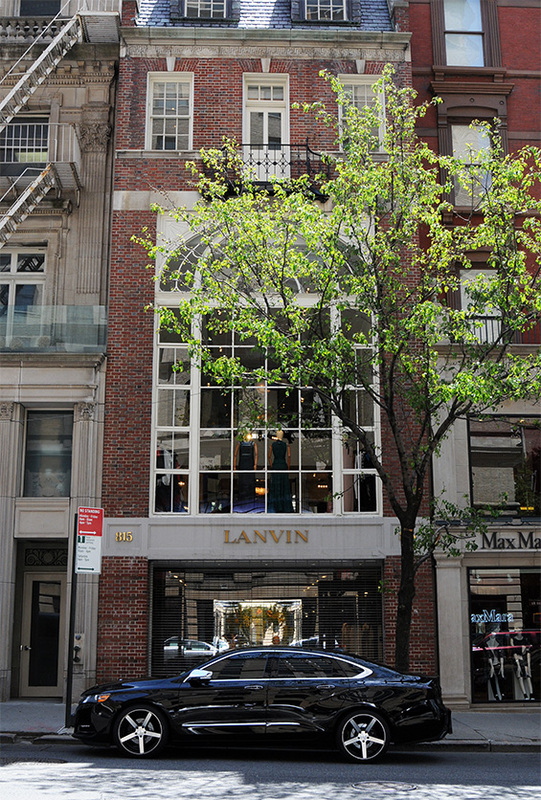 Clothes Store, 815 Madison Avenue and East 68th Street, Manhattan. 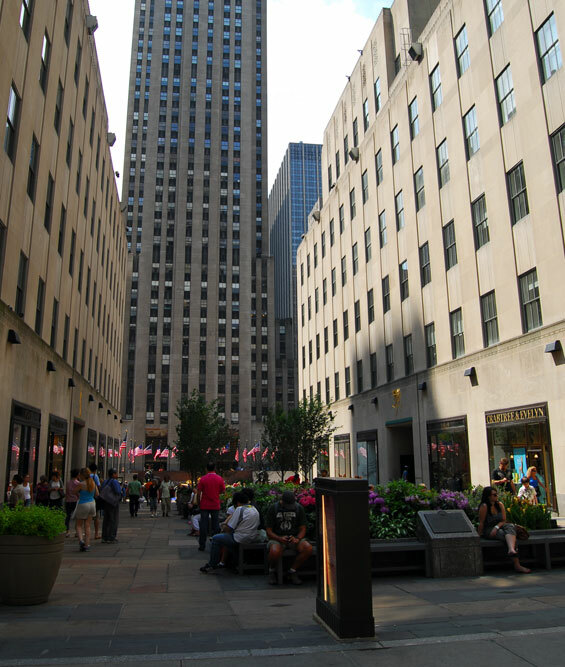 Shop, 5th Avenue (btw East 49th & 50th Streets) Manhattan. 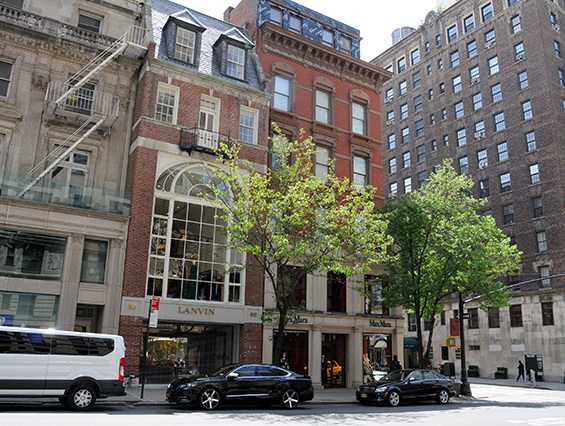 The Alfred Dunhill has since moved. 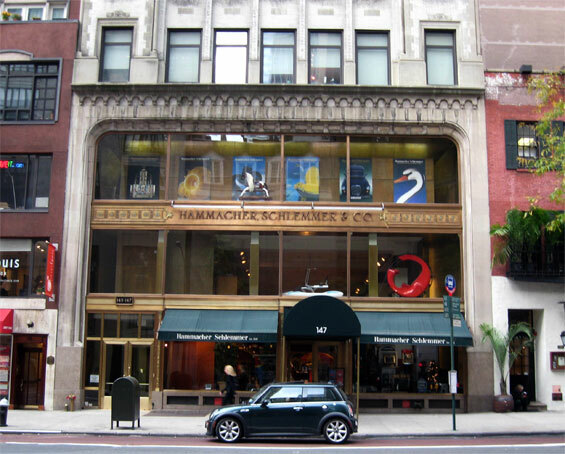 Hammacher Schlemmer, 147 East 57th Street and Lexington Avenue, Manhattan. 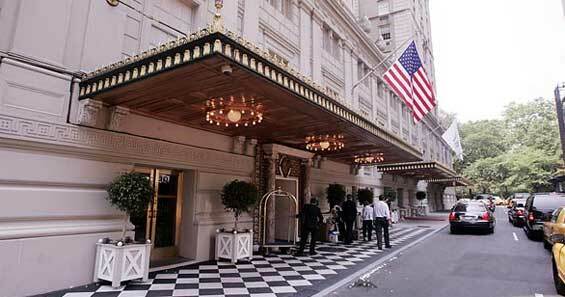 Pierre Hotel, 5th Avenue and East 61st Street, Manhattan.